Hotels sind mehr als nur die Orte, an denen man die Nacht verbringt. Wenn es dann auch noch eine tolle Aussicht hat, gibt es eigentlich gar keinen Grund mehr, es zu verlassen – so wie bei diesen hier. Ob Luxus oder preiswert, hier sind die schönsten Hotels mit Aussicht. Kleine Zimmer, einfache Ausstattung, aber dafür dieser phänomenale Blick! Das Albergo Barbara liegt in Vernazza, einem kleinen Dorf an der italienischen Riviera – und Teil der Cinque Terre! Diese fünf in die steilen Hänge der Küste gebauten Dörfer sind einfach wahnsinnig schön anzusehen. Natürlich kann man sich mit all den anderen Touristen durch die engen Gassen drängen – oder einfach ganz lässig aus dem Fenster des Albergo Barbara schauen. Tower Bridge, London Eye, St. Paul’s Cathedral und The Shard: Sightseeing kann so anstrengend sein! Oder man checkt einfach im ME London Hotel ein und hat all diese Sehenswürdigkeiten auf einem Blick von der großen Terrasse der Rooftop Bar mit einem Gin Tonic in der Hand. Das Me London liegt sehr zentral direkt gegenüber vom Somerset House. Den Blick ins Grüne bietet das Como Uma Ubud auf Bali. Das Resort liegt inmitten des Regenwaldes und sorgt mit seiner offenen Architektur, den privaten Terrassen und der Natur, die fast bis in die Zimmer reicht, für viel Entspannung und Erholung. Als einziges Hotel Japans bietet das Prince Park Tower Tokyo seinen Gästen einen vollen Ausblick auf den ikonischen Tokyo Tower, einem der Wahrzeichen Tokios, der vom Pariser Eiffelturm inspiriert wurde. Die Lounge auf der 33. Etage eignet sich dafür am besten – vor allem, wenn es dunkel wird und die beleuchteten Fenster der umgebenden Hochhäuser ganz besonderes Großstadt-Feeling aufkommen lassen. Dann besteht aber eventuell die Gefahr, dass eure Freunden denken, ihr seid in Las Vegas. Die Fluhalp ist eine Berghütte bei Zermatt mit einfachen Zimmern und Etagendusche. Wer die 40-minütige Wanderung vom nächsten Lift übersteht, darf sich über Frühstück und Abendessen sowie ein wunderschönes Bergpanorama freuen. Den schönsten Blick auf Manhattan hat man unserer Meinung nach von Brooklyn. Wenn das Hotel dann auch noch im coolen Willimasburg liegt und sich architektonisch zwischen den berühmten Brooklyner Backsteinbauten und modernen Glasfassaden bewegt, gibt es nur ein Urteil: Das Wythe Hotel ist absolut Instagram-tauglich! Den schönsten Blick auf Manhattan hat man unserer Meinung nach von Brooklyn. Wenn das Hotel dann auch noch im coolen Willimasburg liegt und sich architektonisch zwischen den berühmten Brooklyner Backsteinbauten und modernen Glasfassaden bewegt, gibt es nur ein Urteil: Das Whythe Hotel ist absolut Instagram-tauglich! Positano mit seinen kleinen, steilen Gassen und bunten Häu-sern liegt an der traumhaft schö-nen Amalfiküste und ist in den letzten Jahren wieder in den Fokus der Urlau-ber gerückt. Das Le Sirenuse ist auf einem Kliff inmitten des Ortes mit maleri-schem Blick auf die am steilen Hang gebauten bunten Häuser, den Hafen, und das blaue Meer. 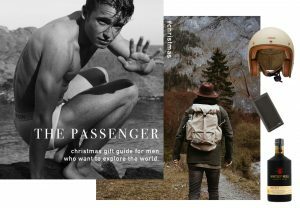 Positano mit seinen kleinen, steilen Gassen und bunten Häusern liegt an der traumhaft schönen Amalfiküste und ist in den letzten Jahren wieder in den Fokus der Urlauber gerückt. Das Le Sirenuse ist auf einem Kliff inmitten des Ortes mit malerischem Blick auf die am steilen Hang gebauten bunten Häuser, den Hafen, und das tiefblaue Meer. Diese Aussicht ist purer Luxus! Wer diesen Blick auf San Marco und die alte Klosterinsel San Giorgio genießen möchte, muss gleich eine ganze Suite mieten – die hat aber zwei Schlafzimmer, sodass ihr euch den Preis mit einem anderen Pärchen teilen könnt… Dafür bietet das Baglioni Hotel Luna aber auch eine 100qm Dachterrasse, ein exquisites Interieur und sehr viel Luxus! Hotels are more than just the places to spend the night. If there even is a great view, there is really no reason to leave the hotel – like in these ones here. Whether luxury or reasonably priced, here are the most beautiful hotels with a view. Small rooms, basic facilities, but look at this phenomenal view! Albergo Barbara is located in Vernazza, a small village on the Italian Riviera – and part of the famous Cinque Terre! These five villages, built on the steep slopes of the coast, are very beautiful! Of course you can crowd with all the other tourists through the narrow streets – or just look out the window of Albergo Barbara. Tower Bridge, London Eye, St. Paul’s Cathedral and The Shard: Sightseeing can be so exhausting! Or you just check in at the ME London Hotel and have all these sights at a glance from the large rooftop bar terrace with a Gin Tonic in your hand. The Me London is very good located right across the Somerset House. The Como Uma Ubud on Bali offers a view into the green. Surrounded by the rainforest, the resort offers plenty of relaxation with its open architecture, private terraces and nature that reaches almost into the rooms. 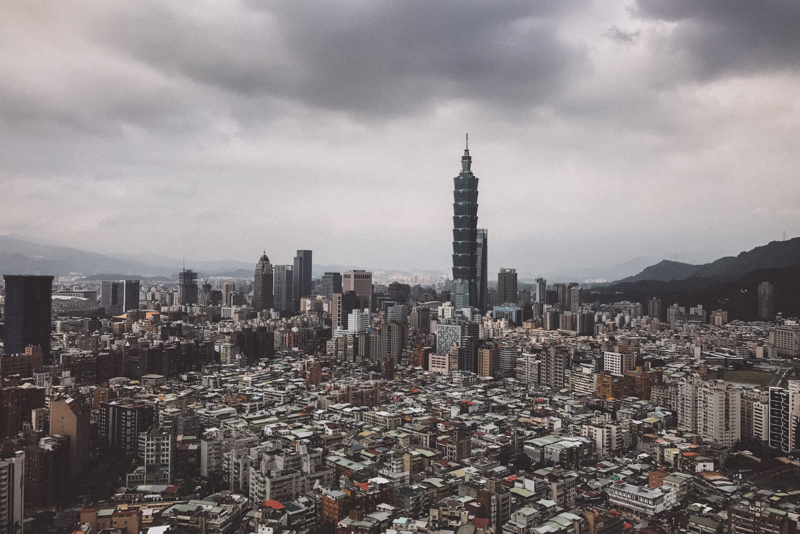 Taipei is inevitably linked to Taipei 101, the former highest building in the world. 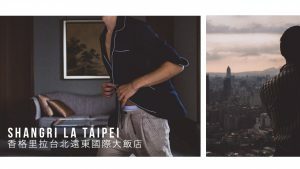 The best view of this skyscraper, the other high-rise buildings surrounding it and the rest of the megacity are from the Shangri La Taipei. Each of the more than 400 rooms has huge windows that provide a great view, we recommend upgrading to Horizont Club so you definitely have a room on the top floors. Anyway, the best view of the Taipei 101 is from the Marco Polo Lounge with its open-access rooftop bar! You’ll find a detailled hotel review here! The Prince Park Tower is the only hotel in Japan to offer its guests a full view of the iconic Tokyo Tower, one of Tokyo’s landmarks inspired by the Paris Eiffel Tower. The lounge on the 33rd floor is best for this – especially when it gets dark and the illuminated windows of the surrounding skyscrapers complete the very special big city feeling. But you might run the risk of your friends thinking you are in Las Vegas. The Fluhalp is a Chalet near Zermatt with simple rooms and shared showers. If you survive the 40-minute hike from the next cable car, you can look forward to breakfast and dinner as well as a wonderful panoramic view of the Swiss alps. The best view of Manhattan is from Brooklyn. If the hotel is in Willimasburg and is designed like a mix between the famous Brooklyn brick buildings and modern glass facades, there is only one verdict: The Wythe Hotel is absolutely Instagrammable! Positano with its small, steep streets and colorful houses is located on the beautiful Amalfi coast and has moved back into the focus of the tourists in the recent years. Le Sirenuse is located on a cliff in the middle of the village with a picturesque view of the colorful houses built on the steep hillside, the harbor and the deep blue sea. The best view of the entire Doha skyline is from the Museum of Islamic Art. But the view is even more beautiful when you are in the middle of the skyline. Such as from the heliport on the roof of the Shangri La Doha. But the rooms and restaurants also have a great view of the surrounding skyscrapers, which glow in different colors in the dark. This view from Baglioni Hotel Luna is pure luxury! If you want to enjoy this view of San Marco and the old convent island of San Giorgio, you have to rent a whole suite – but it has two bedrooms, so you can share the price with another couple … But you’ll get this 100qm rooftop terrace, an exquisite interior and a lot of luxury!